Back-to-front styling is a slow-burn trend, but the duchess is far from the first to embrace it. Two decades ago, Celine Dion split opinion by wearing her white tuxedo backwards on the Oscars red carpet. When people made fun of Taylor Swift for wearing her top the wrong way round in 2014, she opted to own the apparent mishap, turning a back-to-front top into merchandise for her Reputation album. And when last year’s I’m A Celebrity contestant Anne Hegerty wore her standard-issue T-shirt, bearing her name and vote-line number, backwards during a bushtucker trial, Twitter hailed her an overnight fashion icon. On the catwalk, there have been examples of back-to-front looks, including trousers with rear-style pockets and seams transferred to the front of the hips, as seen as as part of AWAKE Mode’s AW19 collection. 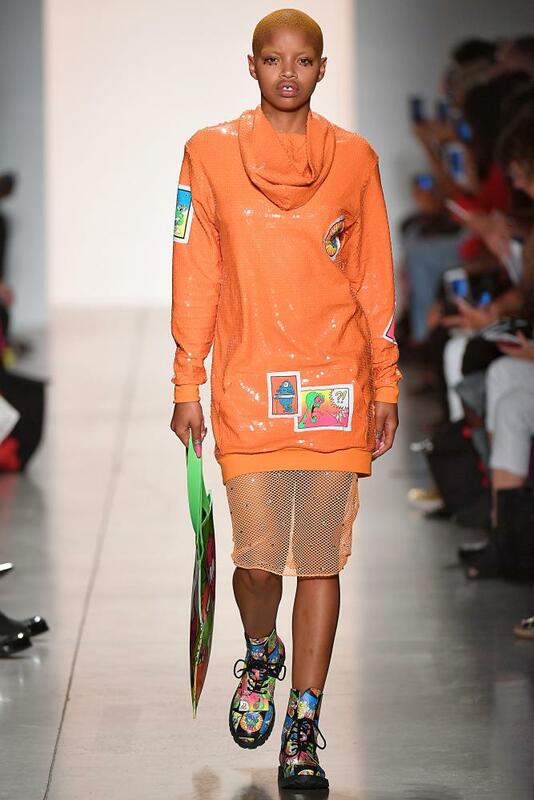 Sweaters with front-facing hoods featured as part of Jeremy Scott’s SS18 creations. But this is a world away from the back-to-front dressing that took over Instagram in 2015, when bloggers and influencers transformed shirts, in particular, by placing high, starched collars to the front to create a partially unbuttoned, low back. The DIY styling was perhaps the ultimate sign of fashion confidence, almost daring onlookers to point out the obvious: you’re wearing that the wrong way round. Kate’s look had some backing. “I believe that [Kate] and her stylist would have thought that it looked better the other way around – and I am in agreement with them,” says the stylist Alexandria Reid, whose clients include Idris Elba, Tom Hardy and Justin Bieber. Was Kate taking a leaf out of the Queen’s style rulebook and (allegedly) sending a message via her clothes? Or was her backwards top simply a symbol of her newfound fashion nous? One thing’s for sure: if it was an accident, it was certainly a happy one.